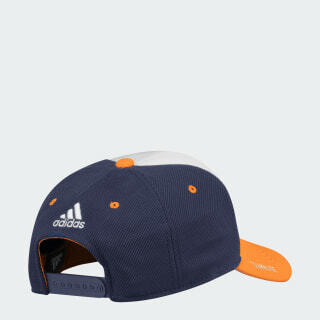 A mesh hat for Edmonton Oilers fans. Honour the Oilers as they dominate both ends of the rink. This mesh cap has a pre-curved brim and an adjustable back for a custom fit. An embroidered team crest shows your loyalty to Edmonton.